We will be asking the public to gather the data and consider what solutions will work best for their cities. How 21st-century cities can support and benefit from nature is the focus of a new €12 million pan-European research project, which is co-ordinated by a research team in Trinity College Dublin. Launched in June, the lead researcher on Connecting Nature is Dr Marcus Collier who has just taken up his position as assistant professor of botany in the School of Natural Sciences in Trinity College. “We’ll be working with 11 European cities and hope to also bring what we call ‘multipier’ cities on board from Brazil, China, South Korea and the Causcasus,” explains Collier. Funded by the EU Horizon 2020 Innovation programme, the project will embrace a new ways of doing science, Colliere says. “It’s a collaborative project with planners, landscape designers, entrepreneurs and citizens. We will be asking the public to gather the data and consider what solutions will work best for their cities. It’s what we call sustainability science involving communities of influence and communities of interest. The project is an experiment in itself,” he says. 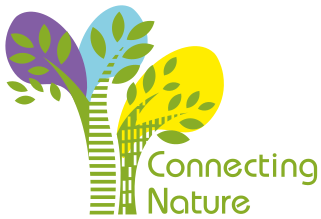 Connecting Nature is one of seven European projects currently seeking nature-based solutions for smart cities and climate change. “Europe has invested €150 million to help cities transition to more sustainable and resilient cities. It’s a huge show of faith but unlike technological solutions, which are single use grey infrastructure, nature-based solutions grow over time,” says Collier. Currently more than 70 per cent of Europe’s population lives in cities but this is expected to increase to over 80 per cent by the middle of the century. Finding appropriate nature-based solutions for different cities is a mammoth task on any scale but Collier is keen to impress that the collaborative style of the project means that each city will make key decisions for what initiatives are pursued right down to sourcing finance and getting local entrepreneurs involved in carrying out the projects in situ. “The key here is financing not funding,” says Collier. The city authority in each participating city has committed to having an employee dedicated to the project during its five years. When pitching for funding for the Connecting Nature project, researchers were advised not to consider “the usual suspects” cities such as Stockholm, Barcelona and Paris which are already doing well when it comes to urban parks, green roofs and other green infrastructure. So, the Trinity College Dublin team won their bid by taking on three so-called frontrunner cities – Glasgow, Poznan in Poland – and the small Belgian city of Genk and eight other European cities – Coruna and Malaga (Spain), Bologna (Italy), Nicosia (Cyprus), Sarajevo (Bosnia), Thessalonica and Ioannina (Greece) and Burgas (Bulgaria), where projects will gain knowledge from the first three frontrunner cities. The frontrunner cities already have large projects planned such as Glasgow council’s aim to ensure that all its citizens live within 400 metres of accessible green or blue spaces. Currently, 60 per cent of its people live within 50 metres of derelict land. So, the first task of the researchers is to see what information or so-called data sets already exist on the role of nature in cities. There are studies showing things like how the existence of a wildlife garden in an industrial area can reduce sick days and recruitment costs. But, Collier points out that sometimes it is difficult to find some direct correlations between nature and human health. For instance, can we assume that climbing trees, building forts and collecting nuts is better for children than running around a museum? he asks. Collier cites the former mining town of Genk in Belgian as an interesting city to work with. “Eighty per cent of the people who live in this town now are from outside Europe so it will be interesting to work with them to co-create scientific and urban planning nature solutions for the city.” Currently, the mayor of Genk is exploring ways for the city to become a centre of sustainable energy while also seeking innovative ways to deal with waste water. Connecting Nature has 29 partners in total which includes the natural capital financing facility in the European Investment Bank and the European Venture Philanthropy Association. Siobhan McQuaid from the Centre for Social Innovation at the Trinity College Business School is the “innovation catalyst” for Connecting Nature. “We see it as an opportunity to up-skill existing businesses with new technologies integrated into nature-based solutions and also to help innovative start-ups in a systematic way. These nature-based solutions are now moving from early adopter stage to the mainstream,” says McQuaid. She cites the Helix Pslanzen Horticulture Centre in Kornwestheim, Germany, as an example of a business which has already developed a nature-based solution applicable to other cities. Helix Pslanzen developed a “Green Living Room” which can be planted with native fruit trees and herbs in different cities. The City Tree is another innovative form of street furniture containing moss cultures which eat particulate matter, nitrogen dioxide and ozone. The Street Tree also contains sensors collecting environmental and climate data to regulate and control the unit and ensure the plants stay alive. “I’m interested in how the Internet of Things technologies can be integrated into sensors on green infrastructure both to monitor environmental and health impacts and to understand how people engage with them,” says McQuaid. Green roofs are multi-functional nature-based solutions in cities. Not only do they encourage biodiversity and reduce flooding but they also cool down the buildings they cover. While flat green roofs are already common in many cities, the Connecting Nature project will encourage large supermarket chains and commercial building owners to develop multiple height green roofs with different types of grasses, fruit trees and vegetables growing on them. Green bus shelters are another possibility. Treating waste water on site rather than spending money on infrastructure to remove it to a waste water treatment plant is another nature-based solution that is being trialled in some cities. In some cases, certain types of waste water can be used for urban gardens. Other innovative solutions include vertical hydroponic units growing herbs and salads and fish tanks, the fish from which will be for sale in nearby markets.